1. Abu El-Haj, N.L. (1995) Excavating the Land, Creating the Homeland: Archaeology, the state, and the making of history in modern Jewish nationalism. PhD Thesis, Duje University. 2. Aguilo, E., Sastre, A. and Bardolet, E. (1991) La Despesa Turística. Palma de Mallorca: Govern Balear/Consellería d’Economia i Hisenda/Consellería de Turisme. 3. Alcudia , 2000, www http://www.alcudia.net/planes/angles/3.ecoturisme/eco_a.htm, Accessed August 2000. 4. Alcúdia Council (1993,1994) Municipal records (in Catalan), Council of Alcúdia, Mallorca. 5. Alcúdia Council (1994) Declaration: Alcúdia Municipi Ecoturístic, Council of Alcúdia, Mallorca http://www.alcudia.net/planes/angles/3.ecoturisme/eco_a.htm, accessed August 2000 [not current]. 7. Alcúdia, Commune of (1983) Symposium de Arqueologia – Pollentia y la Romanizacion de las Baleares, Alcúdia, Mallorca. 8. Alcúdia, Commune of (1992) Letter supporting bid for European funding (see European Commission, 1992). 9. Alkhoven, P. (1999). The Changing Image of the City: A Study of the Transformation of the Townscape using Computer-Aided Architectural Design and Visualization Techniques. A Case study: Heusden. PhD Thesis, University of Utrecht, . 10. Amiel, C., Martinat, J., Piniès, J., Poisson, O., Satgé, P. & Signoles, A. (2000) De la Place Forte au Monument: La Restauration de la Cité de Carcassonne au XIXe Siècle. Paris: Éditions du Patrimoine,. 11. Amiran, D.H.K., Shachar, A. & Kimhi, I (eds) (1973) Urban Geography of Jerusalem: a companion to the atlas of Jerusalem. Berlin and New York: Walter de Gruyter. 12. Anon (William Wordsworth) 1810 Directions and information for the tourist...[introduction to] Select views in Cumberland, Westmoreland, and Lancashire Rev Joseph Wilkinson, Ackermann, London . 13. Ap, J. (1990) Residents’ perception: research on the social impacts of tourism. Annals of Tourism Research, 17: 610–16. 14. ARCHWAY 2008 Good Practice Guides for the access and regeneration of historic walled towns: (1) Conservation an, Protection and Enhancement, (2) Transport, (3) Spatial Planning, (4) Tourism Development and Management, (5) Cultural Heritage Management.. (EC INTERREG IIIc Award No. 3W0083N) http://www.archway-interreg.com (accessed 20/11/2008) Chester(content now only available through walled towns research website of Academic Adviser to the project) ARCHWAY Piran, Valletta, Lucca, den Bosch, La Guardia etc. Chester. 15. Armstrong, Karen,1996, A History of Jerusalem: One City, Three Faiths, Harper Collins,. 16. Arriva 2009 Freedom of Wales flexi-pass Arriva Trains Wales Cardiff UK. 17. Ashworth G.J. & Bruce D.M.. 2009 'Town walls, walled towns and tourism: paradoxes and paradigms', Journal of Heritage Tourism, 4: 4, 299 — 313. 18. Ashworth G.J. (1993) Walls, towns and tourists: a marketing approach. Walled Towns Friendship Circle 3rd Symposium Loches, France . 19. Ashworth G.J. (2003) Heritage, Identity and Places: for Tourists and Host Communities, in Singh, S.; Timothy, D.J. ; Dowling R.K. (eds) Tourism in Destination Communities (79-97) Wallingford: CABI . 20. Ashworth G.J. and Tunbridge J.E (2004) Malta makeover: prospects for the re-alignment of heritage, tourism and development. URSI report 304, Faculty of Spatial Sciences, Groningen . 21. Ashworth G.J. and Tunbridge J.E.,(1990) The Tourist-Historic City, Belhaven (Pinter). 22. Ashworth G.J. and Voogd.H.,1992 ,Selling the City ,Belhaven Press ,. 23. Ashworth G.J.,1994,in Ashworth G.J. and Larkham P.J. (Ed),1994,Building a New Heritage: Tourism culture and identity in the new Europe, Routledge,. 24. Ashworth, G.J. & M.J.Kuipers (2002) Managing the heritage of fortress towns: the cases of Naarden and Bourtange. In Phelps. A., G.J.Ashworth and B.O.H.Johansson (eds) The construction of built heritage (pp. 131-43) Aldershot: Ashgate. 25. Ashworth, G.J. & Tunbridge, J.E. (2001) The Tourist-Historic City: Retrospect and Prospect of Managing the Heritage City. London: Belhaven. 26. Ashworth, G.J. & Tunbridge, J.E. The Tourist-Historic City: Retrospect and Prospect of Managing the Heritage City. London: Belhaven, 1990. 27. Ashworth, G.J. & Tunbridge, J.E. The Tourist-Historic City: Retrospect and Prospect of Managing the Heritage City. London: Belhaven, 1990/2000. 28. Ashworth, G.J. (1991) War and the City London: Routledge . 29. Ashworth, G.J. (2002) Heritage in economic regeneration: the case of Nieuwschans In Phelps. A., G.J.Ashworth & B.O.H.Johansson (eds) The Construction of Built Heritage (pp163-74) Aldershot: Ashgate. .
30. Ashworth,G.J & R.Hartmann (eds) (2005) Horror and human tragedy revisited New York: Cognizant. 31. Austin, D. ‘Devolution, castles and Welsh identity.’ British Archaeology 29 (1997). 33. Baalman, D. ‘The Heritage Industry is going at full blast’. Architecture in the Netherlands, Yearbook (1988/1989), 29-32. 34. Bacon F. 1625/1859 Essay XVIII On Travel in The essays: or, Counsels civil and moral with A table of the colours of good and evil Markby edn 1859 Parker, London. 35. Bacon, M. (1991) Making walled towns successful, First Symposium of the Walled Towns Friendship Circle in Cardiff. 36. Baedeker K Belgique et Hollande 1910:150 Karl Baedeker Leipzig for Ghent. 37. Baedeker K, Northern Germany Excluding the Rhineland. 38. Baedeker K, Northern Italy, Handbook for Travellers 1913, p. 530. 39. Baedeker K. 1911, Austro-Hungary Baedeker Leipzig p.280. 40. Baedeker, K. (1844) Schweiz. Handbüchlein für reisende, nach eigener Anschauung und den besten Hülfsquellen bearbeitet [Switzerland: Little handbook for travellers, produced from personal observation and the best sources], 1st edn. Karl Baedeker, Coblenz Prussia. (Germany). 41. Baedeker, K. (1849) Rheinreise von Basel bis Düsseldorf mit Ausflügen in das Elsass und die Rheinpfalz, das Murg-und Neckerthal, an die Bergstrasse, in den Odenwald und Taunus, in das Nahe-,Lahn-, Ahr-, Roer-, Wupper- und Ruhrthal und nach Aachen, 6th edn. Karl Baedeker, Coblenz, Prussia Germany (Hinrichsen D5). 43. Baedeker, K. (1861) Rhine, from Switzerland to Holland. The Black Forest, Vosges, Haardt, Odenwald, Taunus, Eifel, Seven Mountains, Nahe, Lahn, Moselle, Ahr, Wupper, and Ruhr, 1st English edn. Karl Baedeker, Coblenz, Prussia. Germany (Hinrichsen E1). 44. Baedeker, K. (1893) Griechenland, 3rd edn. Karl Baedeker, Leipzig, Germany . 45. Baedeker, K. (1897) Great Britain 4th edn. Karl Baedeker, Leipzig, Germany . 46. Baedeker, K. (1904) Italy, second part: Central Italy and Rome, 14th edn. Leipzig, Germany . 47. Baedeker, K. (1906) Grossbritannien: England (ausser London), Wales, Schottland und Irland , 4th edn. Leipzig, Germany . 48. Baedeker, K. (1907) Northern Italy: Handbook for Travellers. Leipzig: Karl Baedeker. 49. Baedeker, K. (1908) Griechenland [Greece],?? 4th edn, Leipzig Germany. 50. Baedeker, K. (1909a) Italy from the Alps to Naples, 2nd edn. Leipzig, Germany . 51. Baedeker, K. (1909b) Switzerland and the adjacent portions of Italy, Savoy, and Tyrol, 23rd edn. Leipzig, Germany . 52. Baedeker, K. (1909c) Italie Centrale Rome, 14th edn. Leipzig, Germany . 53. Baedeker, K. (1910) Southern Germany (Wurtemberg and Bavaria), 11th edn. Leipzig, Germany . 54. Baedeker, K. (1911a) The Mediterranean Seaports and Sea Routes, including Madeira, the Canary Islands, the Coast of Morocco, Algeria, and Tunisia: Handbook for Travellers. Leipzig, Germany . 55. Baedeker, K. (1911b) Unteritalien, Sizilien, Sardinien, Malta, Korfu. Handbuch für Reisende [Southern Italy], 15th edn. Leipzig, Germany . 56. Baedeker, K. (1911c) Eastern Alps including the Bavarian Highlands, Tyrol, Salzburg, Upper and Lower Austria, Styria, Carinthia, and Carniola, 12th edn. Leipzig, Germany. 57. Baedeker, K. (1911d) Austria Hungary with excursions to Cetinje, Belgrade, and Bucharest, 11th edn. Leipzig, Germany. 58. Baedeker, K. (1913) Northern Italy including Leghorn, Florence, Ravenna and routes through France, Switzerland, and Austria, 14th edn. Leipzig, Germany. 59. Baedeker, K. (1914) Russia with Teheran, Port Arthur, and Peking, 1st edn. Leipzig, Germany. 60. Baedeker, K. (1929) Egypt and the Sudan, 8th edn. Leipzig, Germany. 61. Baedeker, K. (1943) Generalgouvernment [German occupied Poland], 1st edn. Leipzig, Germany. 62. Baedeker, K. Northern Germany Excluding the Rhineland: Handbook for Travellers. Leipzig: Karl Baedeker, 1913. 64. Bardolet, E. (1990) Demanda turística y marketing turístico. Papeles de Economía Española, no. 8. Bardolet, E., Aguilo, E., Sastre, A. and Sastre, F. (1990) Estudio sobre las Caracteristicas del Turismo de la Playa de Palma (Mallorca). Palma: Camar Oficel De Comercio, Industria y Navegacion de Mallorca, Ibiza y Formentera. .
65. Barrett P,1995, The Walled Towns of Wales and Chester, Wales Tourist Board, Cardiff. 66. Batle, F., Serra Cantallops, A. and Salas, J. (1994) Sustainable Tourism in a Walled Town: Report to the Commune of Alcúdia. Palma: UiB University of the Balearics, Official School of Tourism. .
67. BBC World Service 1997. 'Europe Today' 31Oct 1997'. 68. Beare E. (Ed) (2008) 501 Must-Visit Cities. Bounty/Octopus, London ;Lonely Planet 2006 The City Book Lonely Planet Melbourne. 69. Benevolo Leonardo (trans. from Italian by Carl Ipsen),1993, The European City, (in the series The Making Of Europe) Laterza, Blackwell et al. ,Rome, Oxford et al. 70. Beresford, M.W. New Towns of the Middle Ages: Town Plantation in England, Wales and Gascony. London: Lutterworth, 1967. 71. Betjeman John,1970, Ghastly Good Taste, Anthony Blond Ltd.
72. Blaeuw,1620, Europa Recens Descripta, Amsterdam, (facsimile bought 1997). 73. Boissevan, Jeremy (1994) Discontent in Mdina. In Focus (Tourism Concern), Summer: 12. .
74. Boniface P & Fowler P.J.,1993, Heritage and Tourism in the Global Village,Routledge,. 75. Boniface P. 1995 Managing Quality Tourism Routledge. 77. Boswell J. (ed by Pottle, F.) (1953) Boswell on the Grand Tour: Germany and Switzerland. 78. Bowden, W., Hodges, R. & Lako, K. Byzantine Butrint: Excavations and Surveys 1994–1999. Oxford: Oxbow Books, 2004. 79. Boyd, S.W., (2002) Cultural and heritage tourism in Canada: opportunities, principles and challenges Tourism and Hospitality Research 3 (3), 211-233. 80. Bradshaw 1972 August 1914 Continental Guide [facsimile edition], David & Charles Newton Abbot UK. 81. Brandi K (translated by C.V. Wedgwood), 1939, 'Charles V' Jonathon Cape. 82. Braque George,1910 "contacte visuelle"-a tourist [uninvolved],"contacte tactile"-an artilleryman, [involved], Letter, seen in Bristol City Museum exhibition 1991. 83. Braudel Ferdnand (2nd Ed. 1966 translated Sian Phillips), 1972/73 , 'The Mediterranean And The Mediterranean World In The Time Of Phillip II' 2 Vols., Librarie Armond Colin, ,Paris (Translation Collins,London. 84. Braun and Hogenberg Civitates Orbis Terrarum or ‘Cities of the World’. Skelton R.A.(Ed.) (1966) 'The Towns of the World': Braun and Hogenberg's Civitates Orbis Terrarum 1572-1618 (Facsimile), The World Publishing Company. Cleveland, Ohio (three volumes); Fuessel S (Ed) (2008) Braun and Hogenberg Cities of the World: complete edition of the colour plates 1572-1617 Taschen Cologne. Each has a full scholarly introduction. 85. Braun G & Hogenberg F (1572-1617) Civitates Orbis Terrarum (Cities of the World) Cologne. 86. Braun’s introduction to the 1581 3rd Volume Civitates Orbis Terrarum (Cities of the World) Cologne. 87. Brezovec and Bruce 2008 available at www.archway-interreg.com (accessed 25-Aug-2010). 88. Brigulgio L., Butler R., Harrison D. and Leal Filho W. (1996) Sustainable Tourism in Islands and Small States Case Studies London: Pinter. 89. Brindle, S. ‘Ancient monument casework in London.’ Greater London Archaeology Advisory Service Annual Review (April 2002-March 2003), 11-12. 90. Bristol City Museum in its caption in the City Museum, Queen Street, Bristol (observed 10th April 2010). 91. Brochures: Chester, La Granja Mallorca, Londonderry, Waterford, Wexford, Drogheda,Drosendorf, Noerdlingen, Conwy, Visby, Lugo, Chichester, Thessalonika, Le Quesnoy, Naarden, Elvas, Valenca, Ibiza, Valletta, Guimares, Olivenza, Badajoz, Tuy, Chepstow, Ludlow, Berwick, Carlisle, Moncao, Salvatierra, Avila, Nocera, Montefalco, Spello, Perugia, Assisi, Alcúdia, Cuidadella, Jerusalem, Cracow, Banska Stiavnica,. 92. Bruce D & Serra Cantelops A (1993) The Walled Town of Alcudia as a Focus for Alternative Tourism to Mallorca. Conference proceedings, Sustainable Tourism on Islands and Small States, Malta. To be published by Mansell, 1995. 93. Bruce D and Collins S 1993/5 A Guide to the Walled Towns of Europe Walled Towns Friendship Circle, Tenby (2nd Edition forthcoming). 94. Bruce D. (1994) Tourism in Walled Towns, Tourism Management Vol 15 no. 3 pp. 228-30. 95. Bruce D. 2008 appendix in Brezovec and Bruce 2008 available at www.archway-interreg.com (accessed 25-Aug-2010). 96. Bruce D. and Marion Jackson 'Measuring Sustainability in Tourism - The lessons of Chepstow for European walled towns'. Leisure Studies Association International Conference; Leisure in Different Worlds. Loughborough, 1993. 97. Bruce D. and Toni Serra Cantallops 'The walled town of Alcudia as a focus for an alternative tourism in Mallorca.' International Conference on Sustainable Tourism in Islands and Small States, Malta 1994. 98. 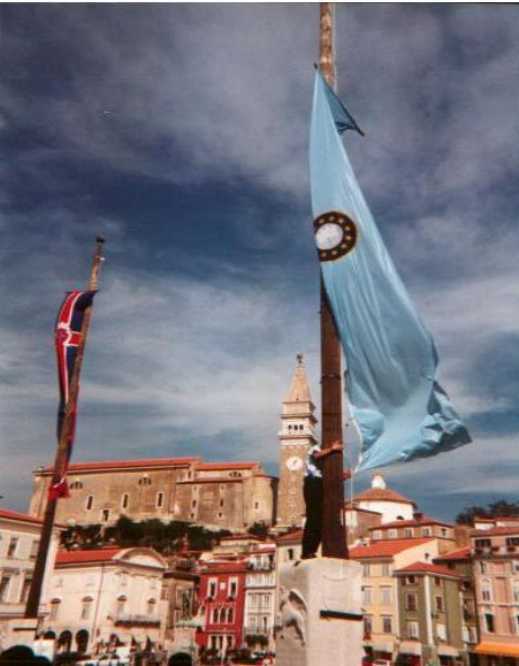 Bruce D. M. (2004) Piran, establishing a sustainable “gem city”. In Holloway, J.C. Marketing for Tourism. (pp.446-454) London: Pitman..
99. Bruce D. M. (2007) Presentation to Archway Legacy Conference, Chester June 2007. 101. Bruce D.M (1993) A Handbook of Good Practice for Sustainable Tourism in Walled Towns, Report to the European Commission DGXXIII (Tourism Unit) pp70 +appendices. 102. Bruce D.M. (1997), Towards a sustainability indicator for tourism transport, ‘Interdisciplinary Strands’ Journal of the Interdisciplinary Research Association No7 autumn, 4-8. .
103. Bruce D.M. (1998) Tourism, Heritage and Local Pride, in Swarbrooke J. (Ed) Heritage, Culture and Community, ATLAS, Tilburg, 3-20. 104. Bruce D.M. 2010 p95 Chapter 7 Baedeker: the perceived ‘inventor’ of the formal guidebook, a bible for travellers in the 19th century, in Giants of Tourism Butler and Russell Eds CABI Wallingford. 105. Bruce D.M. and Jackson M.J. (1999) Measuring Sustainability in Tourism - Lessons from a study of Chepstow for other European walled towns, in Foley M., McGillivray D., McPherson G. (Eds. ), Leisure, Tourism and Environment: Sustainability and Environmental Policies, LSA Publication No.50 (Part 1), Brighton, 141-155. 106. Bruce D.M. and Marion Jackson (1993) 'Measuring Sustainability in Tourism - The lessons of Chepstow for European walled towns'. Leisure Studies Association International Conference; Leisure in Different Worlds. Loughborough, . 107. Bruce D.M. and Serra Cantallops A. (1996), The walled town of Alcúdia as a focus for an alternative tourism in Mallorca, in Briguglio L., Butler R., Harrison D. and Leal Filho W. (Eds. ), Sustainable Tourism in Islands and Small States: Vol. II Case Studies, Pinter, London, 241-261. .
108. Bruce D.M. and Toni Serra Cantallops (1993) 'The walled town of Alcudia as a focus for an alternative tourism in Mallorca.' International Conference on Sustainable Tourism in Islands and Small States, Malta. 109. Bruce D.M. (1995), Sustainable tourism in Chepstow and Conwy, Context: The Journal of the Association of Conservation Officers No 46, June. 13-14. 110. Bruce D.M., Collins S., Laban,P. and Lloyd F. (1993) A Handbook of Good Practice for Sustainable Tourism in Walled Towns - Report to European Commission, Directorate General XXIII (Tourism) 92/C 51/16 (with appendices), Walled Towns Friendship Circle, Tenby. 111. Bruce et al. (META-) 2001. 112. Bruce, D., Jackson, M.J. and Hathway, A. (1990, 1992, 1993) Monitoring the Local Enterprise and Development (LEAD) Initiative in Chepstow. Annual Reports, Monmouth Borough Council, Pontypool..
113. Bruce, D.M. and Creighton O. (2006) Contested Identities: the dissonant heritage of European Town Walls and Walled Towns. International Journal of Heritage Studies 13(3), 234-54 . 114. Bruce, D.M., Jackson, M. and Serra Cantallops, A. (2001)‘PREPARe: a model to aid the development of policies for less unsustainable tourism in historic towns.’ Tourism and Hospitality Research: the Surrey Quarterly Review 3.1 : 21-36. .
115. BSI, (1992), BS 7750:1992 Environmental Standard British Standards Institute, Milton Keynes. 116. Burton, R. (1995) Travel Geography (2nd edn). London: Pitman. .
117. Butler R. (1997) The concept of carrying capacity for tourist destinations: dead or merely buried, in Cooper C. and Wanhill S.(Eds.) Tourist Development: Environmental and Community Issues, Wiley, Chichester, 11-21. 118. Butler R. (1998) Sustainable Tourism: Looking Backwards in order to Progress? in Hall, C.M. and Lew, A.A. (Eds. ), Sustainable Tourism: A Geographical Perspective, Longman, London, 25-34. 119. Butler, R.W. (1994) Alternative tourism: the thin end of the wedge. In V.L. Smithand W.R. Eadington (eds), Tourism Alternatives. Chichester: Wiley and the International Academy for the Study of Tourism (39–46). .
120. Buzzard J 1993 The Beaten Track: European Tourism, Literature, and the Ways to Culture, 1800-1918 Clarendon Press, Oxford, UK. 121. Canestrelli, F. and Costa, P. (1991) Tourist carrying capacity: a fuzzy approach. Annals of Tourism Research, 18: 295–311. .
122. Carr E.H.,1961,"What is History?",Macmillan,. 123. Castle J. (2000) The Case Against ISO 9000 by John Seddon - A Review , BBS Teaching and Research Review- An Electronic Publication http://www.uwe.ac.uk/bbs/trr/Is2-cont.htm accessed 30th June 2000 . 124. Cavafy P.C. (ed. Sharon A.) (2008) ‘The Barbarians’ in The Selected Poems of Cavafy, Penguin Modern Classics Poetry. Harmonsworth: Penguin, . 125. Centre Etudes des Bastides, see http://etudebastides.ifrance.com/; . 126. Chapman, H., Hall, J. and Marsh, G. 1985.The London Wall Walk. London: Museum of London, . 127. Chester City Council 1993 A Strategic Framework for Chester's Culture The Chester Action Programme, Chester City Council . 129. Childs, J. (1997), ‘A short history of the military use of land in peacetime.’ War in History 4.1 81-103. 130. Clarke, J., (1997) A Framework of Approaches to Sustainable Tourism, Journal of Sustainable Tourism 5(3), 224-233. .
131. Cm 2674 (1994) Eighteenth Report Transport and the Environment (Houghton) RCED (Royal Commission on Environmental Pollution) The Stationary Office, London. .
132. Cm 2674 1994,Cm 3950 1998 The negative impacts of road and air transport are well documented () . 133. Cm 3950 (1998) A New Deal for Transport: Better for Everyone, DETR (Department of Environment, Transport and the Regions) UK Government The Stationary Office, London. 134. Cm 4014, (1998), Modern Local Government: in touch with the people, DETR UK Government, The Stationery Office, London. 135. Cohen-Hattab, K. ‘Historical research and tourism analysis: the case of the tourist-historic city of Jerusalem’. Tourism Geographies 6.3 (2004), 279-302. 137. Colley,1997,Review of "The Heritage Crusade", Times Literary Supplement,. 138. Collins S and Bruce D.,1993,The Walled Towns of Europe, Walled Towns Friendship Circle,Tenby, Wales,. 139. Collins S. 1993 'A Guide to the Walled Towns of Europe' 1st Year Book of the WTFC. 3rd WTFC Symposium Loches. 140. Collins S. 'A Guide to the Walled Towns of Europe' 1st Year Book of the WTFC. 3rd WTFC Symposium Loches France 1993. This study was referred to (in connection with Conwy) in R. Elwyn Owen, Stephen F. Witt and Susan Gammon 'Sustainable tourism development in Wales' Tourism Management Vol 14.6 pp463-474 1993. 141. Costa Georgiou 'Consultation the key as City [York] faces upto Challenge' Planning no935 13 Sept.1991. 142. Costa Ramon,1961/1985,Triple Murada- Ibiza,Ibiza, Spain,. 143. Crang M 1996 Envisioning urban histories: Bristol as palimpsest Environment and Planning A vol 28: 429-452. 145. Creighton, O.H. and Higham, R.A. (2005) Medieval Town Walls: An Archaeology and Social History of Urban Defence. Stroud: Tempus,. 146. Creighton, O.H. and Higham, R.A. ‘Journey of discovery: Conwy’. BBC History Magazine 6.6, 2005: 82-83. 147. Cropper E. 1829 letter about Manchester-Liverpool railway. Unpublished MS in collection of DMB. 148. Cuddon J.A 1968; 1986 The Companion Guide to Jugoslavia 1st edn Collins London. 149. CWAC The ARCHWAY website has been taken down by Cheshire West and Chester Council, the successor body to the City of Chester. However all the content is available on application via www.walledtownsresearch.org . 150. Daniell C,1991,A Traveller's History of England, The Windrush Press, Gloucestershire, UK,. 151. Dann G (1977) Anomie, Ego‑Enhancement and Tourism. Annals of Tourism Research IV/4 , 184‑194. 152. Dann, G. (2005) ‘Children of the dark’ In Ashworth,G.J & R.Hartmann (eds) Horror and human tragedy revisited. (pp 233-52) New York: Cognizant . 153. DCMS (1999) Tomorrow's Tourism DCMS, London. 154. DCMS (Department of Culture, Media and Sport) (1998) Towards Sustainable Tourism Consultation Paper, DCMS, The Stationary Office, London. 155. Denman part-funded by the European Commission Directorate General XXIII (Tourism) Project 92/C 51/16 (reported in Denman 1995). 156. Denman, R.(1995) Review of ‘A handbook of good practice for sustainable tourism in walled towns’, in Alpenforschungsinstitut gemn. GmbH Tourism and the Environment in Europe -an introduction along with reports on some European projects in tourism. Office for Official Publications of the European Communities, Luxembourg. 157. Department of the Environment 1990 Planning Policy Guidance 16: Archaeology and Planning, London: Department of the Environment,. 158. Devereux C. (1999) The Little Black Book – Assessing cross-cultural service competence in travel and tourism work placements, Devereux & Co, UK. 159. Diario de Mallorca (1995) Alcúdia, primer municipio en adaptarse al POOT, 18 January: 14. .
160. Dickenson R 1992 Tourism and the Environment: the European Initiative2nd WTFC Symposium, Cittadella (Veneto, Italy). 161. Dingle, P. (1993) The Green Audit Kit. Totnes, UK: South Devon Green Tourism Initiative. .
162. DoE/DoT (UK) (1993) Reducing Transport Emissions Through Planning. London: . 163. Doxey, G.V. (1975) A causation theory of visitor-resident irritants: methodology and research inferences. In The Impact of Tourism, Proceedings of the sixth annual Conference of the Travel Research Association. San Diego, TRA (195–8). .
164. Dresser M (2001) Slavery Obscured: The Social History of the Slave Trade in an English Provincial Port [Bristol] Continuum . 165. Durand, H., Gouirand, P. and Spindler, J. (1994) Economie et Politique du Tourisme.Paris: Librarie Générale de Droit et de Jurisprudence. .
166. EC (European Commission) (1993) The European Eco-Audit RegulationOffice of European Publications, Luxembourg. 168. EHTF (English Historic Towns Forum) (1994) Visitor ManagementEHTF, Bristol. 169. EHTF (English Historic Towns Forum)(1999) Making Connections - a practical guide to tourism management in historic towns. EHTF, Bristol. 171. Elliott J. (1997) Tourism: politics and public sector managementRoutledge, London. 172. Else D 2003 The Lonely Planet Britain Lonely Planet Publications London . 173. Else D 2009 The Lonely Planet England Lonely Planet Publications London . 174. Elwyn Owen R, Stephen F. Witt and Susan Gammon 'Sustainable tourism development in Wales' Tourism Management Vol 14.6 pp463-474 . 176. European Association of Historic Towns and Regions 2009 Guidelines for Sustainable Cultural Tourism in Historic Towns and Cities(www.historic-towns.org accessed 1st October 2009). 177. European Commission (1992) Call for proposals for tourism and the environment. Official Journal of the European Communities, No. C51/16, Brussels. .
179. Evans, G. ‘Living in a world heritage city: stakeholders in the dialectic of the universal and particular’. International Journal of Heritage Studies 8.2 (2002), 117-135. 180. Fawcett A 1988 Wales and The Marches by Rail: a guide to the routes, scenery and towns. Railway Development Society London. 181. Foreign Office 1836.1842 Passports issued to H.W.Macaulay visa’ed MS originals in collection of the author. 182. Forster E.M 1908/2000 Room with a View Penguin Harmonsworth, UK. 183. Fowler, P.J. The Past in Contemporary Society. London and New York: Routledge, 1992. 184. Frangenberg T 1994 Chorographies of Florence the use of city views and city plans in the sixteenth century Imago Mundi, 46: pp41 - 64. 186. Friedrichs C. R.,1995,The Early Modern City, 1450-1750,Longman ,. 187. Friend J. and Hickling G. (1987) Planning Under Pressure: a strategic choice approach, Pergamon, London. 188. Frost, W. (2006) Braveheart-ed Ned Kelly: historic films, heritage tourism and destination image, Tourism Management, 27:2 247-254 . 189. Fudge C., Smook R., Sougareva N. (1996) European Sustainable Cities, European Sustainable Cities Campaign ECSC-EC-EAEC, European Commission, Directorate General XI, Brussels - Luxembourg. 190. Fussell P (1980) Abroad: British Literary Travelling between the Wars. Oxford, OUP. 191. Fyall, A and Garrod,B. (1998) Heritage tourism: at what price? Managing Leisure 3, 213-228. 192. Gardiner J. (Ed),1990,The History Debate: a 'History Today Book',History Today,. 193. Garrod B., Fyall A. (1998), Beyond the Rhetoric of Sustainable Tourism,Tourism Management, 19(3), 199-212. 194. German Spa Association 2003. 195. Gerrard N. (1997) 'It's not art. But it used to be…' in Observer 26 October. 197. Gibbon, Edward,(1776, 1781, 1788) 1994,'The History of the Decline and Fall of the Roman Empire' , Edited in 3 volumes by Womersley, David, Allen Lane -the Penguin Press, ,. 198. Gilbert M.J. (1993) Achieving Environmental Management Standards - a step-by-step approach, Institute of Management/Pitman, London. 199. Ginesta, J.-M. and Fernandez, L.J. (1991) El Turismo Espanol. Paris: Massom. 200. Glendinning, M. (2003), ‘The conservation movement: a cult of the modern age.’ Transactions of the Royal Historical Society 13 359-376. 201. Goethe W. 1962 Italian Journey (1786-1788) Translated Auden W. & Mayer E Collins London. 202. Goodall B and Stabler M J (1997) Principles Influencing the Determination of Environmental Standards for Sustainable Tourism, in Stabler M.J. (Ed) Tourism and Sustainability: from Principles to Practice, CAB International, Wallingford, 279-304. .
203. Goss J. 1991Braun and Hogenberg's the City Maps of Europe: a Selection of 16th Century Plans and Views. London: Studio Editions,. 204. Govern Balear (1984,1987). Decreto Cladera 1,2. Palma: Govern Balear. .
205. Govern Balear (1990) Pla de Modernització de l’Oferta Hotelera. Palma: Govern Balear. .
206. Govern Balear (1992, 1993) Llei d’Espais Naturals (LEN). Palma: Govern Balear. .
207. Govern Balear (1993) Pla de Ordenacio de la Oferta Turistica (POOT). Palma: Govern Balear. .
208. Govern Balear (1993,1998) La Despesa Turistica (in Catalan) Govern Balear, Palma de Mallorca. 209. Govern Balear, Conselleria de Obres Publiques (1992) Plan de Fassanes de Alcúdia 87045. Palma: Govern Balear. .
210. Govern Balear, Conselleria de Turisme (1985, 1992, 1993) El Turisme a les Illes Balears, 1984, 1991, 1992. Palma: Govern Balear. .
211. Govern Balear, Conselleria de Turisme (1994) El Turisme a les Illes Balears 1994. .
212. Gowen, M. (ed.) Conservation Plan: Dublin City Walls and Defences. Dublin: Wordwell/Dublin City Council, 2004. 213. Graham, ‘Heritage as knowledge’, 1004-5. 214. Graham, B. ‘Heritage as knowledge: capital or culture’. Urban Studies 39 (2002), 1003-1017. 215. Graystone, L. (ed.) (1992) Environmental Auditing – A Guide to Best Practice in the UK and Europe. London: The British Library, Scientific Research Information Service. .
216. Green Globe (2000) Green Globe 21 for Destinations http://www.greenglobe.org accessed 29th August 2000. 218. Greffe X (2005) Culture and Local development. Paris: OECD . 219. Grimmelshausen,1669, Simplicissimus trans Weissenborn H, Macdonald L1964, ,. 220. Gruber, R.E. and Gruber, S.D. 2003Jewish Monuments in Slovenia. United States Mission for the Preservation of America’s Heritage Abroad,. 221. Hagen J. (2004), The Most German of Towns: Creating an Ideal Nazi Community in Rothenburg-ob-der-Tauber. Annals of the Association of American Geographers, 94.1 207-227. 222. Hagen J.2006 Preservation, Tourism and Nationalism: The Jewel of the German Past. Ashgate Aldershot. 223. Hall C.M. (1994) Tourism and Politics: policy, power and place, Wiley, Chichester. 225. Harp S 2002 The Michelin Red Guides: Social Differentiation in Early Twentieth Century French Tourism in Koshar R (ed) 2002 Histories of Leisure Berg Oxford UK pp191-214. 226. Hebrew University of Jerusalem, 2010 and various, http://historic-cities (accessed 31-July-2010). 227. Herodotus 5th Century BC The Histories Translated de Sélincourt A, revised Burn A. 1972 Penguin Harmonsworth UK. 228. Hewison,1987, The Heritage Industry, Britain in a Climate of Decline. 229. Hinrichsen A. 1988 Baedeker-Katalog : Verzeichnis alle Baedeker-Reiseführer von 1832-1987 : mit einem Abriss der Verlagsgeschichte [Baedeker Catalogue listing all Baedeker Travel Guides 1832-1987 with a short history of the Publisher] Holzminden, West Germany. [Hinrichsen D0, D1,D5, F1, E1,S1 etc.are codes assigned by Hinrichsen (1991) to all editions of Baedeker guides. D0 is the (pre-) first German (Deutsch) travel handbook/guide, F1 – the first guide published in French, E1 the first English. In this chapter, these codes are used when discussing particular early publishing issues, usually along with a date reference to Baedeker (e.g. Baedeker, 1849; D5 in Hinrichsen 1991); when later guides are quoted, the standard date reference is used(e.g. Baedeker 1911)]. 230. Hodges, R., Bowden, W. and Lako, K. Byzantine Butrint: Excavations and Surveys 1994-99. Oxford: Oxbow, 2004. 231. Hodgson G,1995,A New Grand Tour: how Europe's great cities made our world,Viking (Penguin),. 232. Holloway J..C. (2004) Marketing for Tourism London: Pitman, . 233. Holloway, J C (1992) Cityscape: a Comparative Evaluation of the New Built Environment and its Influence in generating Tourism. Conference proceedings, Tourism in Europe, University of Durham. 234. Holloway, J.C. (1994) The Business of Tourism (4th ed.). London: Pitman. .
235. Hopkinson, M.F. ‘Living in defended spaces: past structures and present landscapes.’ Landscapes 1.2 (2000), 53-77. 236. Hounslow, M.W. & Chroston, P.N. (2002), ‘Structural layout of the suburbs of Roman Butrint, southern Albania: results from a gradiometer and resistivity survey’. Archaeological Prospection 9.4 229-242. 237. Howard P. (2003) Heritage: Management, Interpretation, IdentityLondon: Continuum . 238. Hunter, C., (1997) Sustainable Tourism as an Adaptive Paradigm, Annals of Tourism Research Vol.24(4), 850-867 . 239. Hywel, ‘Castles and contradictions’, 184. 240. Hywel, E. ap ‘Castles and contradictions: versions of a Welsh “heritage”’. In Writing the Past in the Present, edited by F. Baker and J. Thomas. Lampeter: St David’s College, 1990, 180-186. 241. IBATUR, Conselleria de Turisme Del Govern Balear (1990) Plan de Marketing Turístico de las Islas Baleares 1991–1993. Palma de Mallorca: Govern Balear. .
242. ICOMOS,1996, World Heritage Sites December1996 list, http://www.unesco.org/whc/heritage.htm. 243. IJHS special edition of 2004 (Vol. 10:1). 244. Insall D.W. and Associates, 1968,'Chester: A study in Conservation: Report to the Minister of Housing and Local Government and the City and County of the City of Chester, HMSO,. 245. Jackson, M.J. and Bruce, D.M. (1992), Monitoring and Evaluating a Tourism Development Programme: A Study of Chepstow, in Johnson, P. and Thomas, B. (Eds) Perspectives on Tourism Policy, Mansell, London, 105-121. 246. Jacobs J (1961/1965) The Death and Life of Great American Cities - the failure of town planning. Pelican. London. 247. Jagger J Mansell (1994)'Preservation or bust: historic towns in a post-functional world' Proceedings of the 1993 Town and Country Planning Summer School Royal Town Planning Institute . 248. Jansen-Verbeke M.(1997) Urban Tourism: managing resources and visitors, in Wahab S, and Pigram J.J., Tourism Development and Growth, Routledge, London, 237-256. 249. Jensen-Verbeke M. (2006) Tourism as an instrument for urban revitalisation: dreams versus critical success factors at ATLAS Annual Conference: Transformation of Tourism Spaces, Łodz. 251. Johnson P. and Thomas B. (1996) Tourism capacity : a critique, Briguglio L., Archer B., Jafari J. and Wall G., (Eds), Sustainable Tourism in Islands and Small States: Vol. I: Issues and Policies, Pinter, London,118-136. 252. Johnston, A.J.B. (1995) Preserving history: the commemoration of eighteenth century Louisbourg in Kause, E., Corbin C. and O’Shea W. (eds)Aspects of Louisbourg Sydney: University College of Cape Breton Press. 253. Johnston, A.J.B. ‘Sébastien le Prestre de Vauban: reflections on his fame, his fortifications, and his influence’. French Colonial History 3, 2003, 175-188. 254. Join-Lambert, M. Jerusalem. London: Elek, 1966. 255. Jones S,1997,Heritage of Wales,ATLAS Conference,. 256. Jones, C,, 1997, 'Not a belonger' a review of Cobb R. 1997 The End of the Line: a Memoir Murray, Times Literary Supplement,. 257. Kapuscinski R. 2007 Travels with Herodotus, Penguin Harmonsworth UK. 258. Kause, E., Corbin C. and O’Shea W. (eds) (1995) Aspects of Louisbourg, Sydney: University College of Cape Breton Press. .
259. Kelly, W. The Sieges of Derry. Dublin: Four Courts Press, 2001. 260. Klein J (traduit Lendroy J) 1832 Voyage du Rhin de la Mayence à Cologne Karl Baedeker Coblence Prussia (Hinrichsen F1) . 261. Klein J 1828 Rheinreise von Mainz bis Köln Röhling Coblenz Prussia. 262. Klein J 1835 Rheinreise von Mainz bis Köln Karl Baedeker Coblenz Prussia (Hinrichsen D0). 263. Klein, M. The Contested City. London. Hurst, 2001. 264. Knijff, E. van der and Oosterhaven, J. 1990 Optimising tourist policy: a linear programming approach. Regional Studies, 24: 55–64. .
265. Knox, P. 2005 Creating Ordinary Places: Slow Cities in a Fast WorldJournal of Urban Design, 10(1) 1-11. 266. Lash S and Urry J,1994, Economies of Signs and Space ,Sage/TCS,London,. 267. Law C.M. ,1993, Urban Tourism: Attracting visitors to large cities, Mansell, London. 268. Le Pelley B. and Pettit R,1994, Canterbury's Tourism, Insights English Tourist Board . 269. Leask A. and Fyall A. (Eds), 2006, Managing World Heritage Sites. London: Butterworth Heinemann,. 270. Lee, P,1996, Mallorca and Menorca: the rough guide, Rough Guides,. 271. Lennon, J.J. and M.Foley ,2000, Dark tourism: in the footsteps of death and disaster. London: Cassell. .
272. Light A., 1994, Emotional Geography: the Romance of Place. Conference proceedings, The Romance of Place , Exeter University. 274. Lovelace R., 1640/1930, ‘To Althea, from prison’ (1640) in Wilkinson C.H Ed. The Poems of Richard Lovelace pp78,79 iv.1 Oxford University Press. 275. Lowenthal D. , 1996, Possessed by the Past: The Heritage Crusade and the Spoils of History,Free Press (Simon and Shuster), New York. 276. Lowenthal D.,1985, The Past Is A Foreign Country, Cambridge University Press., Cambridge. 277. Lowerson J., 1994 Celtic Tourism: some New Magnets. conference proceedings, The Romance of Place, Exeter University. 278. Lynch, K. 1960, Image of the City Cambridge Mass: MIT Press. 279. Mac Giolla Chriost, D., 1996, ‘Northern Ireland: culture clash and archaeology’. In Nationalism and Archaeology, edited by J.A. Atkinson, I. Banks & J. O’Sullivan. Glasgow: Cruithne Press, pp128-134. 280. Macaulay T.B., 1849-1861, History of England, 5 Volumes Tauchnitz Copyright Edition, Leipzig. 281. Magister Gregorius, 1143/1987, Mirabilia Urbis Roma translated as The Marvels of Rome J. Osborne Toronto Pontifical Institute Toronto, Canada. 282. Martin, S., 2002, Butrint National Park Development Study. University of East Anglia: Institute of World Archaeology. 283. McKitterick D (Ed), 2009, The Cambridge History of the Book in Britain Volume 6 1830–1914, Cambridge University Press. 284. Michel G. (Editor), 1978/95, Architecture of the Islamic World: its history and social meaning, Thames and Hudson. 286. Middleton V., Hawkins R., 1998, Sustainable Tourism: a marketing perspective Butterworth-Heinemann, London. 287. Mihalic T., 1996, Ecological labelling in tourism, Briguglio L., Archer B., Jafari J. and Wall G., (Eds) Sustainable Tourism in Islands and Small States: Vol. I: Issues and Policies, Pinter, London,pp 197-205. 288. Miles, M., 1998, Strategies for the convivial city: a new agenda for education for the built environment, Journal of Art and Design Education 17.1, pp 17-25. 289. Mills R.C., Morrison A.M., 1992, The Tourism System: an introductory text (2nd Edition) Prentice Hall, New York. 290. Morris A.E.J.,1994, History of Urban Form (before the industrial revolution) 3rd Edition, Longman, Harlow, . 291. Muirhead J & Ashworth P., 1911, Rhine in Encyclopaedia Britannica Volume xxiii p241 Edinburgh. 292. Muirhead J.and Monmarché M., 1922, North Eastern France, The Blue Guides, Macmillan London. 293. Mumford L,1965, The City in History, Penguin,. 294. Murphy, P., 1985, Tourism: A Community Approach. London: Methuen. 295. Murray J, 1868 Handbook for Travellers on the Continent – North Germany (16th Edition) John Murray London. 296. Murray J., 1840, Handbook for Travellers on the Continent – North Germany John Murray London. 297. Nazi Proganda Film Unit, 1944 , Theresienstadt, [now Terezin in the Czech Republic]: The City the Fuehrer gave to the Jews (http://www.imdb.com/title/tt0194445/accessed 09-08-10). 298. NHTV, 1993, Bezoekersonderzoek: Naarden vanuit toeristisch perspectief NHTV [working paper] Four Towns Study Walled Towns Friendship Circle. Breda: European Commission. .
299. Norris, H. and Kain, R., 1982, ‘Military influence on European town design’. History Today 32 pp10-15. 300. Nuti L., 1984, Alle Origini del grand tour: immagini e cultura della città italiana negli atlanti e nelle cosmografie del secolo XVI Storia Urbana 27:3-53. 301. Nuti L., 1994, The Perspective Plan in the Sixteenth Century: the Invention of a Representational Language The Art Bulletin. 76:1. .
302. Ogg D,1965, Europe in the 17th Century, 8th Edition, A&C Black . 303. Otness H.M., 1980, Index to nineteenth century city plans appearing in guidebooks: Baedeker, Murray, Joanne, Black, Appleton, Meyer, plus selected other works …Western Association of map Libraries, Santa Cruz Ca. .
304. Owen R. E.,Stephen F. Witt and Gammon S., 1993, 'Sustainable tourism development in Wales' Tourism Management 14.6:463-474.ge S., 1995, Urban Tourism, Routledge, London. 305. Palmer Caubet, A., 1994, Ecoturismo o turismo sostenble. In J. Massot and J Ruiz (eds), ESPECIAL Habitat Suplemento quincenal (17 June). Association Empresarial de Promotores-Constructores de Baleares and Association de Constructores de Baleares Palma de Mallorca. .
306. Palmer M. and Palmer N., 2000, The spiritual traveler: England, Scotland, Wales: the guide to sacred sites and pilgrim routes in Britain Hidden Spring. 307. Palmowski J., 2002, Travels with Baedeker: the guidebook and the middle classes in Victorian and Edwardian England in Koshar R (ed) 2002 Histories of Leisure Berg Oxford UK pp105-130. 308. Parker M and Whitfield P., 2006, The Rough Guide to Wales Rough Guides London. 309. Pausanias, 2nd Century AD/1991, Guide to Greece (translated Levi P) 1991 Penguin Harmonsworth UK . 310. Pendlebury J., Townshend T. and Gilroy R., 2004, The Conservation of English Cultural Built Heritage: A Force for Social Inclusion?, International Journal of Heritage Studies, 10:1, 11-31 . 311. Pendlebury, John, 2005, 'The Modern Historic City: Evolving Ideas in Mid-20th-century Britain', Journal of Urban Design, 10:2, 253 - 273. 312. Perbellini, G. (ed. ), 2000, The Town Walls in the Middle Ages: Les Enceintes Urbaines Au Moyen Âge. The Hague: Europa Nostra IBI Bulletin No. 53. Phelps. A., Ashworth,G.J. and Johansson B.O.H. (eds), 2002, The Construction of Built Heritage Aldershot: Ashgate. .
Picornel C, Segui J & Ginard A ,1991, Alcudia: Cartographia del projecte de fortificacio I defensa de la cuitat I de les badies (segona meitat del segle XVIII) ,Department of Earth Sciences ,University of the Balearic Islands and Ajuntament de Alcudia.,. 314. Pink S., 2006, Sensing Cittàslow: Slow Living and the Constitution of the Sensory City Senses & Society 2,(1) 59–78. 315. Plog S, 1991, Leisure Travel: an extraordinary industry facing superordinary problems in Theobalds W. (Ed) Global Tourism: the Next Decade Butterworth-Heinemann, London, 40-54. 316. Porter S,1994, Destruction in the English Civil Wars, Alan Sutton Publishing, Stroud UK and Dover NH USA. 317. Prittie, T., 1981, Whose Jerusalem? London: Frederick Muller. 318. Richards G., 2001, Cultural Attractions and Tourism Wallingford: CABI Publishing . 319. Richardson D., 2005, The Rough Guide to Moscow Rough Guides London. 320. Ripp M., 201World Heritage Officer Regensburg. "CRISIS:AN OPPORTUNITY FOR HISTORIC CITIES - built cultural heritage as a factor of urban resilience"
Robinson K,1997, Chairman's Personal View, Tourism, Autumn, The Tourism Society. Robson, C.,199Real World Research: A Resource for Social Scientists and Practioner Researchers. Oxford: Blackwell. .
321. Rodger R. And Pinol J-L, 2007, Historical Urban Studies General Editors’ Preface in Richard Rodger, Joanna Herbert, eds. Testimonies of the City Aldershot: Ashgate,.p.ix. 323. Routard, 2008, Le Guide du Routard Angleterre, Pays de Galles Hachette Paris France. 324. Ruiz, R., 1990, Las comunidades autonomas y el turismo. El Pais, 19 February. In J.M. Ginesta and L.J. Fernandez, El Turismo Espanol. Paris: Masson. .
325. Said E 1978 Orientalism Penguin Harmonsworth UK. 326. sailingandboating, 2009, http://www.sailingandboating.co.uk/history-channel-ferry.html accessed June 1st 2009. 327. Schama, S, 1995 (paperback 1996), Landscape and Memory, Fontana/HarperCollins. 328. Scheltema-Vriezendorp, E.A.M., 1989, ‘De restauratie van de voormalige vesting Naarden 1964-1989’. Tussen Vecht en Eem 7.2, 62-72. 330. Scholten, G.M., 1975, ‘Heusden; waar herstel zegeviert over afbraak’, De Woonstede door de eeuwen heen 27: 28-41. 331. Seaton, A.V., 1996, Guided by the dark: from thanatopsis to thanatourism’ International Journal of Heritage Studies 2(4) 244 . 332. Seaton, A.V., 1999, War and Thanatourism: Waterloo 1815-1914 Annals Tourism Research 26(1) 159. 333. Seddon J. 2000, The Case Against ISO 9000, BBS Teaching and Research Review- An Electronic Publication http://www.uwe.ac.uk/bbs/trr/Is2-cont.htm, accessed h June 2000. 334. Sellar W.C.and Yeatman R.J., 19 1066 and all that: a memorable history of England, Methuen. 335. Shaw G and Williams A., 2004, Tourism and Tourism Spaces London: Sage . 336. Shaw, S. and MacLeod, N., 2000, ,Creativity and conflict: cultural tourism in London’s city fringe.’ Tourism, Culture and Communication 2.165-175. 337. Shelley, M (ed Hindle M.), 1818/1992, Frankenstein Harmondsworth: Penguin. 338. Singh, S. ,Timothy, D.J. and Dowling R.K. (eds), 200Tourism in Destination Communities Wallingford: CABI Publishing . 339. Skelton, R. (Ed. ).,1966, ‘The towns of the world’: Braun and Hogenberg’s Civitates Orbis Terrarum 1572–1618 (Facsimile six volumes ). Cleveland, OH: The World Publishing. 340. Slyomicus, S. (ed. ), 2001, The Walled Arab City in Literature, Architecture and History: The city medina in the Magrhib. London and Portland: Frank Cass. 341. Sournia, B., 1976, ‘Les fortifications d’Aigues-Mortes’. Congrès Archéologique 1 9-26. 342. Stabler M.J. (Ed), 1997, Tourism and Sustainability: from principles to practice, CAB International, Wallingford. 343. Starke M., 1825, Information and Directions for Travellers on the Continent Glaucus Masi, Leghorn [Livorno], Tuscany [now Italy]. 344. Starke M., 18 Travels in Europe Information and Directions for travellers on the continent including the Isle of Sicily John Murray London. 345. 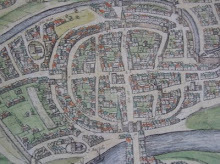 Stoyle, M.J 200Circled with Stone: Exeter's City Walls, 1485-1660. Exeter: University of Exeter Press. 346. Summerson J,195Architecture in Britain 1518 Penguin Books. 347. Swarbrooke J.,1999, Sustainable Tourism Management CAB International, Wallingford. 348. Taylor A.J.P.,1944, The Course of German History, Hamish Hamilton. 349. Taylor, A.J., 1970, ‘The walls of Conwy.’ Archaeologia Cambrensis 119: 1-9. 350. Taylor, A.J., 1995, ‘The town and castle of Conwy: preservation and interpretation.’ Antiquaries Journal 75: -. 351. The Times, 1995, 'Call of the Past' 24 Feb , p7. 352. Thomas Cook, 1879, Continental Timetable Thomas Cook, Leicester. 353. Thomas Cook, 2009, European Rail Timetable – September 2009, Thomas Cook Publishing, Peterborough, UK. 354. Thomas Cook, 2009, Overseas Timetable January-February 2009 Thomas Cook Publishing, Peterborough, UK. 355. Thomas, A., 1992, The Walled Towns or Ireland (2 vols.). Dublin: Irish Academic Press. 356. Tiesdell, S., Oc, T. & Heath, T., 1996, Revitalizing Historic Urban Quarters. Oxford: Architectural Press. 357. Timothy, D.J., 1997, Tourism and personal heritage experience. Annals of Tourism Research -. 358. Tissot L, 1995, 'How did the British Conquer Switzerland? Guidebooks, Railways, Travel Agencies, 1850-1914', Journal of Transport History, series,1 6, 1 21-54, . 359. Toffler A., 1970, Future Shock. London, Bodley Head. 361. Tracy, J.D. (ed. ), 2000, City Walls: The Urban Enceinte in Global Perspective. Cambridge: Cambridge University Press. 362. Trease G.,1967, The Grand Tour, Heinemann. 363. Trevelyan G.M.,19, A History of England, Longmans. 364. Tunbridge J.E. and Ashworth G.J.,1996, Dissonant Heritage: the Management of the Past as a Resource in Conflict, John Wiley and Sons, Chichester,. 365. UK Government,1994, UK Strategy for Sustainable Development. Cm. 2426. London: HMSO. 366. UNCED (United Nations Conference on Environment and Development), 1992, Agenda 21: Earth Summit '92 The United Nations Conference on Environment and Development Rio de Janiero 1992. The Regency Press London 1992. 371. UNESCO www http://whc.unesco.org/archive/repbur85.htm; . 372. UNESCO www http://whc.unesco.org/en/list accessed, analysed August 4th 2010 . 373. UNESCO, 1972, Convention Concerning the Protection of the World Cultural And Natural Heritage, the General Conference at its seventeenth session, Paris: UNESCO. 374. UNESCO, 1994, Nara Declaration on Authenticity. Paris: UNESCO, 1994. 375. UNESCO, 2005, new designations June 2005; see http://whc.unesco.org. 376. UNESCO, 2007, Global Strategy for a Balanced, Representative and Credible World Heritage List http://whc.unesco.org/en/globalstrategy (accessed 18/08/07). 378. Urry J., 1990, The Tourist Gaze: Leisure and Travel in Contemporary Societies. London: Sage. 379. Urry, J., 2004, Globalising the tourist gaze’, Working paper Department of Sociology, Lancaster University, http://www.comp.lancs.ac.uk/sociology/papers/Urry-Globalising-the-Tourist-Gaze.pdf. 380. Ventayol Suau, P.,1917/1982, Historia de Alcudia,Imagen,Palma de Mallorca,. 381. Wales Tourist Board, 1988, Local Enterprise and Development Initiatives (L.E.A.D.) WTB, Cardiff. 382. Walled Towns Friendship Circle (WTFC), 1992, Walled towns as centres for ‘soft’,sustainable tourism – developing local strategies with effective and consistent monitoring of results. A proposal to the European Commission Directorate General XXIII (see European Commission, 1992 above) on behalf of WTFC by Bristol Business School, University of the West of England. .
383. Walled Towns Friendship Circle (WTFC),1997, Walled Towns Friendship Circle Newsletter Sept, Tenby,. 384. Walled Towns Friendship Circle, 2000, Home page 2000 http:/www.walledtowns.com (accessed 1st May 2000 NO LONGER A VALID LINK). 385. Weber M, 1958, (translated) The City, translation by Don Martindale and Gertrud Neuwirth New York. 386. Weber M., 1921/2000, Wirtschaft und Gesellschaft, Teilband 5: Die Stadt Tübingen: Mohr Siebeck. 387. Wedgwood C.V., 19 The Thirty Years War, Jonathan Cape. 388. Welford R., 1996, Environmental Policy, in Thomas R. (Ed) The Hospitality Industry, Tourism and Europe: perspectives on policy. Cassell, London, 166-181. 389. Wheeller B., 1999, Eco or Ego Tourism? Sustainable Tourism in Question in Foley M., McGillivray D., McPherson G. (Eds. ), Leisure, Tourism and Environment: Sustainability and Environmental Policies, LSA Publication No.50 (Part 1), Brighton, 157-161. 390. Wigmans G. 2001, Contingent governance and the enabling city: The case of Rotterdam , City, Vol. 5, No. 2. 391. Woods, M., 199Tourism marketing in South Somerset. Tourism in the Countryside. Royal Town Planning Institute, South West Branch Annual Conference, Ilminster. .
392. Woolston, H. (ed. ), 199Environmental Auditing – An Introduction and Practical Guide. London: The British Library, SRIS. 393. Wordsworth W, 1800/1879 The Brothers in Poems of Wordsworth (chosen by Matthew Arnold) 1879 Macmillan London p65. 394. World Commission on Environment and Development, 1987, Our Common Future (Brundtland Report). Oxford: Oxford University Press. 395. Worskett R., 1969, The Character of Towns: an approach to conservation, The Architectural Press London. 398. WWF-UK (World Wildlife Fund - UK), 2000, Tourism Certification: An analysis of Green Globe 21 and other tourism certification programmes, WWF-UK http://www.wwf-uk.org/news/tcr.pdf accessed August 29th 2000 . 399. Yale P.(1991) From Tourist Attractions to Heritage Tourism, Elm Publications, Huntingdon.